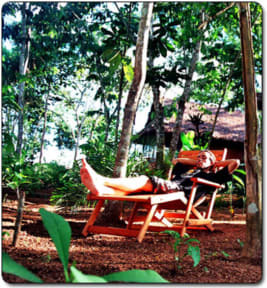 Anaconda Lodge offers comfortable bungalows with private and shared bathrooms surrounded by lush tropical vegetation that is sure to give you a true jungle feel. You will see untamed wildlife while also being relatively close to the city where you will start your jungle treks. This is the only lodge that organises a variety of kayaking tours that suit people of all backgrounds. These tours provide a unique and eco-friendly way to explore the jungle while giving you closer access to the animals due to the absence of engine noise. 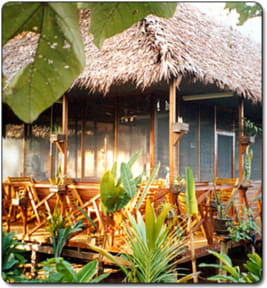 Additionally, we have a tasty Thai restaurant, a camping area (tent not included), a refreshing swimming pool, and electric fans in all rooms. A lovely place to stay at a great price, come in and see us soon! Please advise us about arrival date and time. Dollars or Soles upon departure.